The perfect dress for all occasions, be it a party, wedding or for a gala. 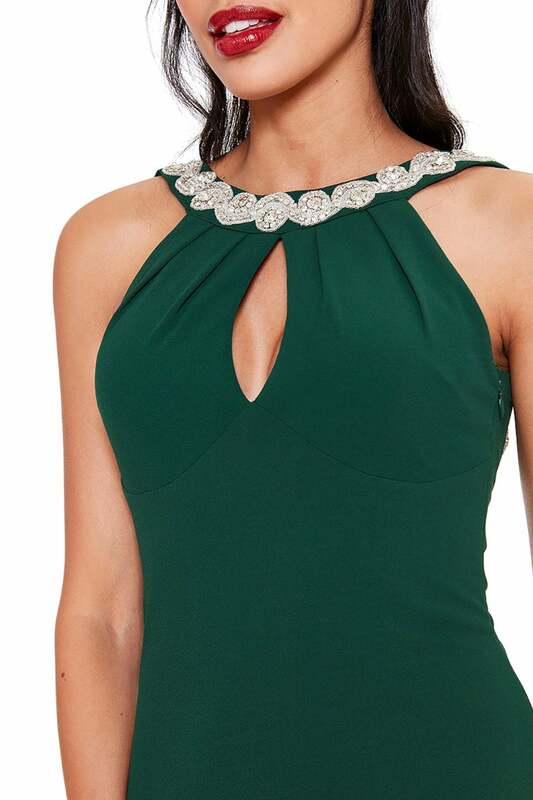 This jewelled emerald dress is the ultimate piece for you this season. With its stunning embellishment detailing around the neck area wrapping around to the open back makes this dress more daring than it looks. It's mermaid hem, ruffle design down the back and keyhole detail adds that touch of spontaneity to this fabulous maxi dress. 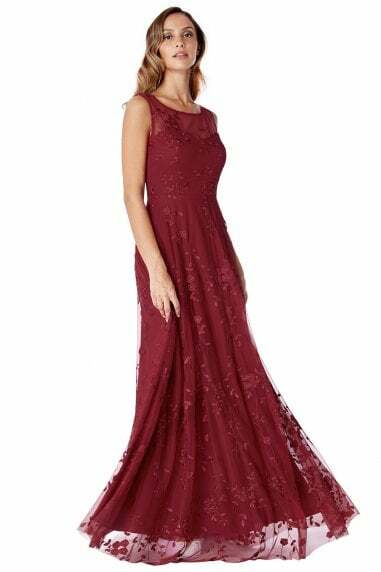 Nothing is impossible when you are wearing this luxurious long dress, the keyhole feature on the chest area adds a bit of sexiness to this boundless evening gown.